Three beautiful holiday houses in 250 acres wild estate. The houses are modernised old stone dwellings with beamed ceilings and stone, terracotta or wooden floors. 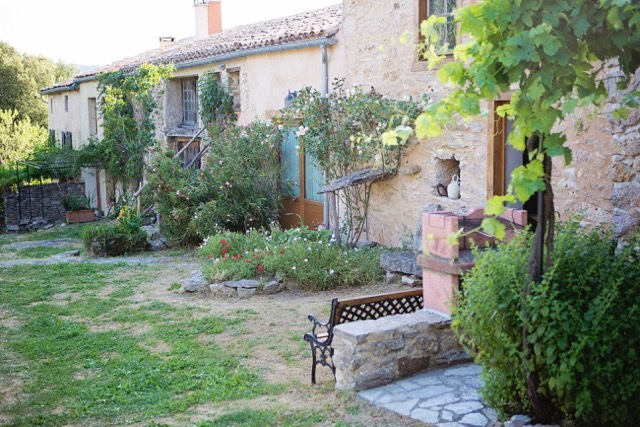 Domaine de Perruche du Buis is situated between the sun filled vineyards of the Haute Vallée de L'Aude and the rugged, wild and dramatic Haute Corbieres in the Departement of Aude within the Region of Languedoc Roussillon. 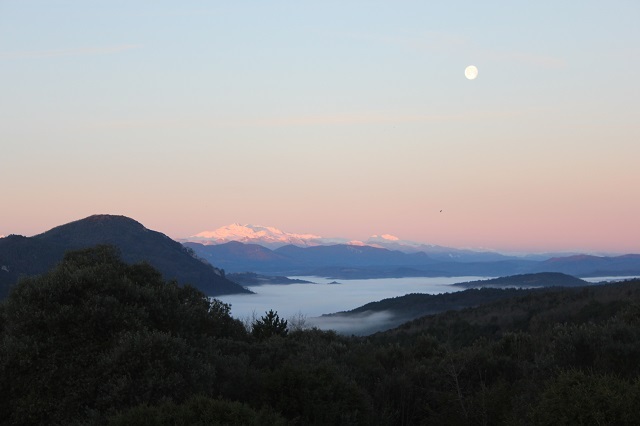 Kari Maren and Pierre de Nattes would love to welcome you to the old farm hamlet (dating pre 1716) which nestles at the centre of this remarkable 100h (250a) nature and bird reserve, surrounded by its natural mixed forests, herb scented moorland (garrigue), streams and meadows. In spring the birds are very busy and the meadows full of wild flowers, in particular the wild orchids for which the area is renowned. 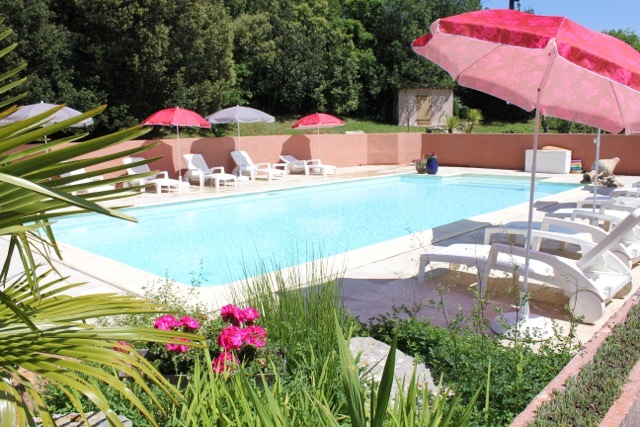 In summer butterflies put on a fine show and the pool is a welcome respite from the heat, the climbs to the Cathare castles and the local markets. The warm autumns bring the mushrooms and glorious colours of the Montpellier maple. Winter has the 3 month carnival of Limoux and skiing 1-2 hours away. Perruche is a haven of peace.